The new 8-inch Fathom IWS and ICS subwoofer systems join JL Audio's larger 13.5-inch models to provide integrators with more architectural subwoofer choices. The MSRPs for JL Audio's new 8-inch Fathom IWS and ICS subwoofer systems range from $2,300 to $3,500 each respectively. Residential and automotive audio company JL Audio recently introduced 8-inch versions of its Fathom IWS and ICS subwoofer solutions to provide integrators more architectural subwoofer choices, and both models are now shipping. The new 8-inch architectural subwoofer models join the 13.5-inch driver Fathom model to help integrators design a broader range of systems that include home theater and whole-house audio. "We are excited about the potential of the 8-inch in-wall and in-ceiling subwoofer solutions in our growing line of architectural audio solutions," notes Andy Oxenhorn, president, JL Audio. "These models have a very small, low-profile grille that will please customers looking for a visually unobtrusive solution that delivers a true JL Audio sub-bass performance." The Miramar, Fla.-based company says both new models reside in compact enclosures that employ construction techniques designed to improve the rigidity of the cabinets. Both enclosures also feature slot port designs located at the perimeter of the subs' driver mounts to improve the subwoofers' efficiency and low-bass output capabilities. Inside the enclosures, the subwoofers house new, long-excursion 8-inch thin-line woofers built specifically for each subwoofer design. 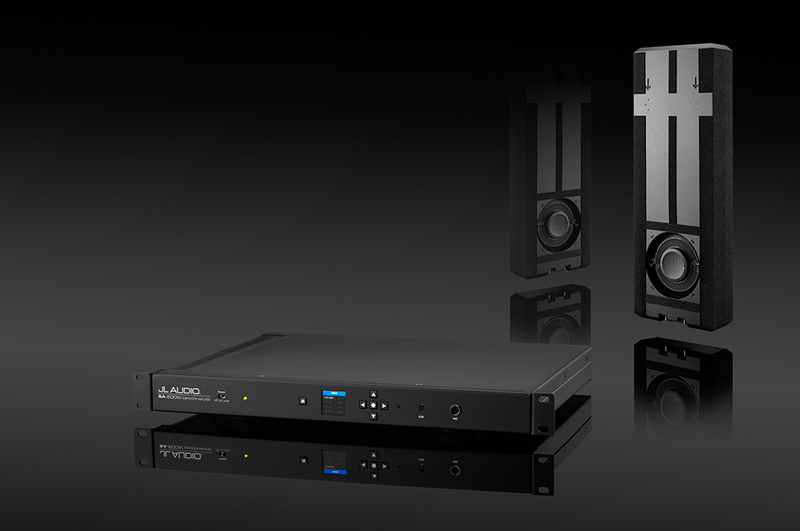 Rack-mountable 600-watt amplifiers power the drivers of the 8-inch Fathom architectural subwoofers (programmed for each subwoofer application). A complete set of Fathom signal processing features are bundled with the amplifiers, including JL Audio's proprietary 18-band Digital Automatic Room Optimization (D.A.R.O.) room equalization system. The Room EQ includes high-pass crossover outputs accessible from the amps' menu system and LCD interface. "The rise in popularity of architectural speakers has integrators looking for solutions that perform like traditional products," adds Manville Smith, vice president of marketing, JL Audio. "The IWS and ICS-108 and 208 prove that you don't need to lower your expectations when selecting an in-wall or in-ceiling subwoofer solution." The subwoofers employ ported enclosures with 8-inch drivers. Rated RMS power output for the subwoofers' companion amplifiers is 300 watts. Enclosure dimensions: 40.71 inches by 14 inches by 5.13 inches and the ceiling joist width fitment is 16 inches to 25.50 inches on center. The subwoofers come with white paintable grilles with grille opening dimensions of 9.75 inches by 9.75 inches. 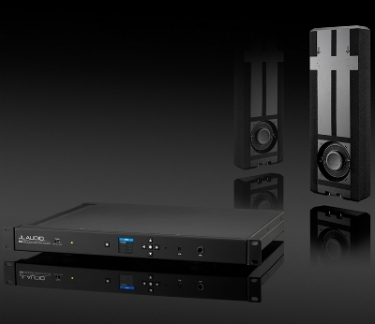 JL Audio states the subwoofers' amplifiers come with on, off automatic signal sensing and 12-volt trigger options. The amps provide JLINK (RJ45 jack), unbalanced stereo or mono (two RCA jacks), high-level stereo or mono (removable plug) inputs. The amps' outputs include two RCA unbalanced and high-pass (adjustable via on-board controls). Room equalization options include 18-band proprietary Digital Automatic Room Optimization (D.A.R.O.). MSRPs range from $2,300 to $3,500.